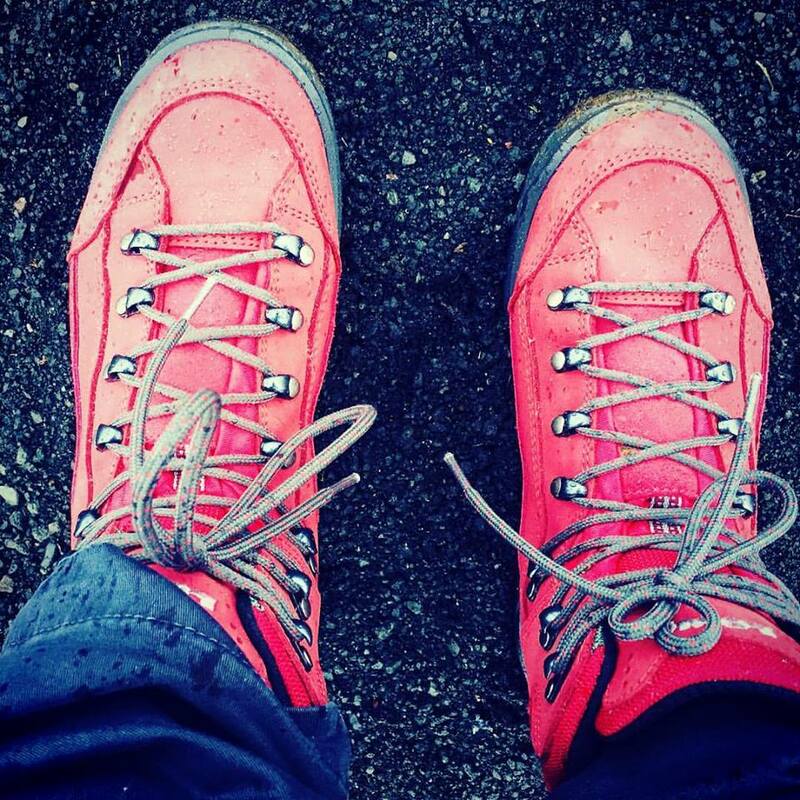 The first thing you’ll notice when you step off the plane in Iceland is the landscape. The ride from the airport to downtown Reykjavik—the country’s coastal capital and the home for most Icelanders—is like a journey on the moon. Rocks and lava fields are scattered everywhere and there are no forests in Iceland—nothing obstructs your view, which creates an immense vastness that goes on and on. 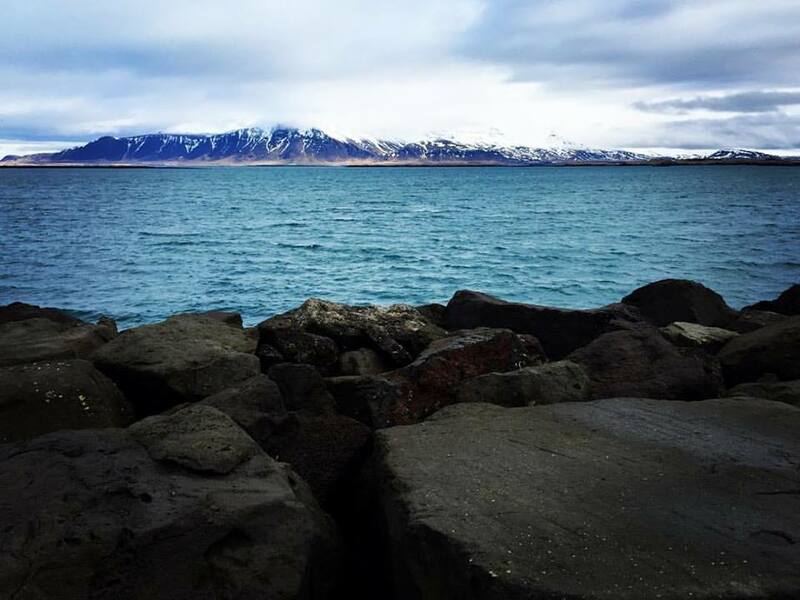 Once in Reykjavik, you’ll have the opportunity to interact with affable locals and immerse yourself into the culture. There are loads of excellent restaurants, coffee houses and shopping within walking distance to the harbor. The charming colorful buildings and rooftops, made out of corrugated metal, are stunning and worth a look-see. 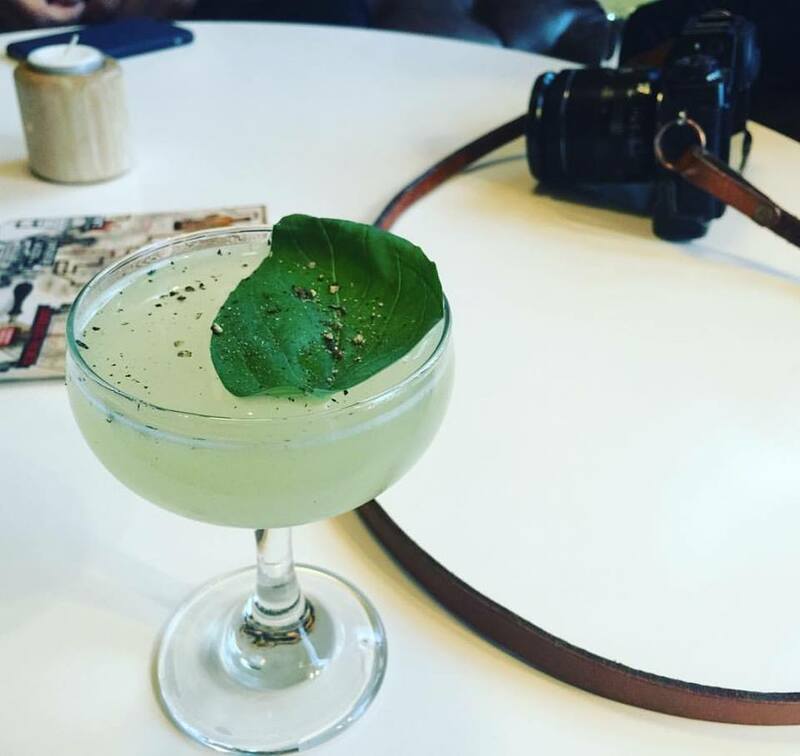 I recommend eating at Grillmarkaðurinn and Kopar and having craft cocktails at Slippbarinn. Plus, stay overnight at Icelandair Hotel Reykjavík Marina for a trendy stay with a view or at Reykjavík Marina Residence for more luxurious space and amenities. Don’t miss the Hallgrimskirkja cathedral in the center of town—the panoramic views out of the windows at the top are incredible and instagram-worthy. 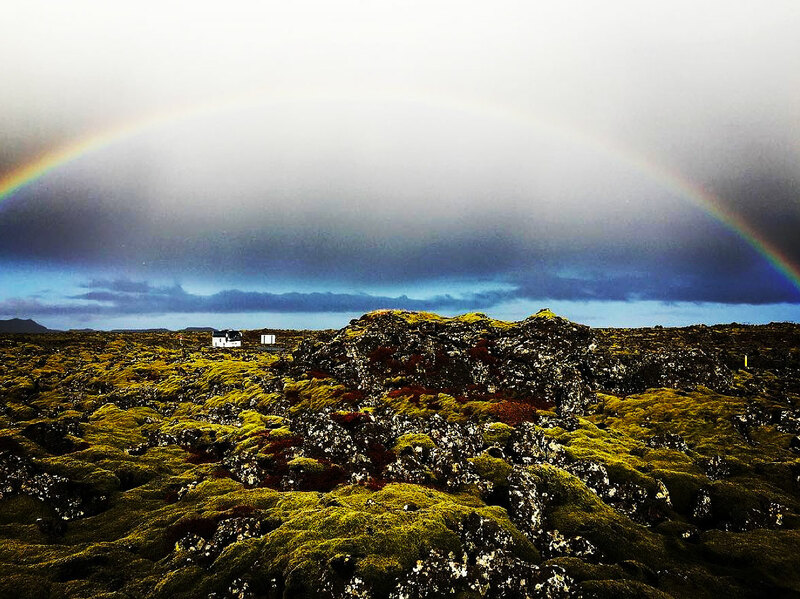 Reykjavik Excursions and Super Jeep both do an excellent job leading custom-made expeditions. I really wanted to come home with an Icelandic sweater. One of the tour guides said in jest, “There are two things that keep Icelanders warm in the winter: their sweaters and their women!” Unfortunately, the real authentic ones are about $400. So, needless to say, I didn’t purchase one. I could have gotten a much cheaper “fake” one for $170 but I didn’t see the point. Also, the airport is a good place to buy goods because you won’t have to pay a VAT (Value Added Tax) tax. 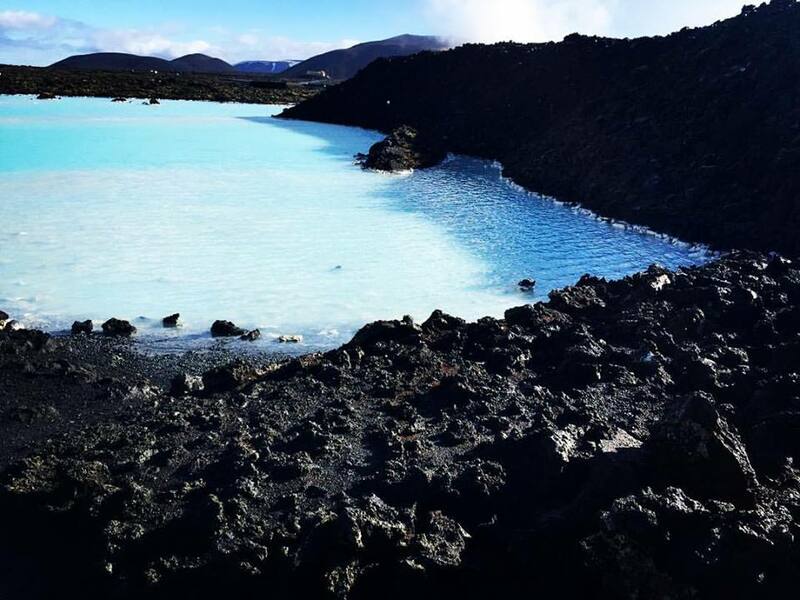 I did buy silica and algae mud masks at the airport from The Blue Lagoon brand—I love reliving the spa-like geothermal pool experience, while relaxing at home. Iceland is the land of fire and ice: there is a volcanic eruption about every 5 years and 11% of the country’s surface is covered with glaciers. What’s cool is that roughly 85% of Iceland’s energy is from renewable resources, and over 50% of that is geothermal. 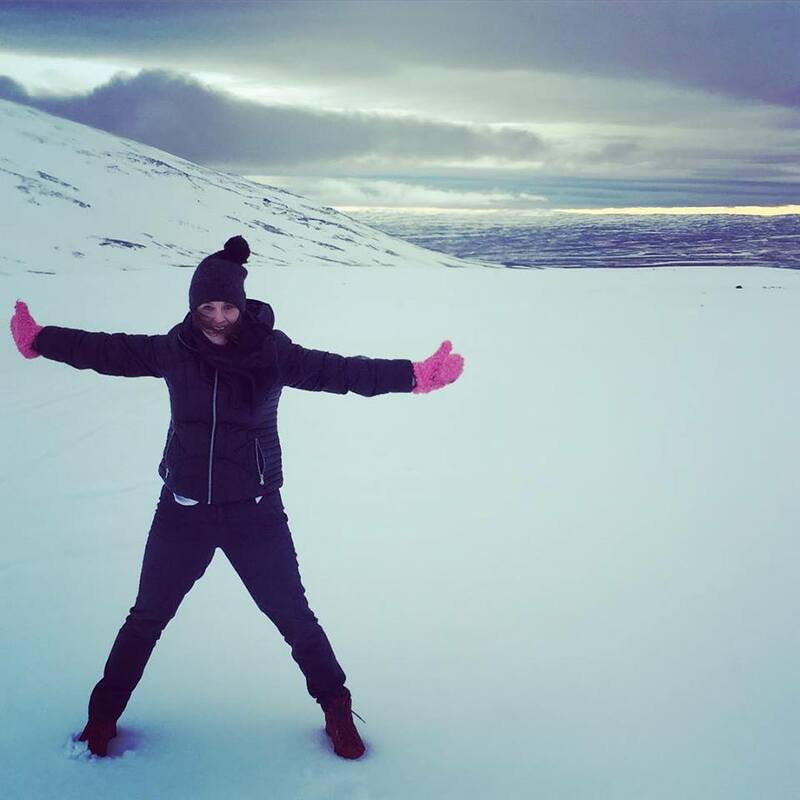 Icelanders enjoy really cheap heating bills! Iceland lies on the Mid-Atlantic Ridge, where the tectonic plates of America and Eurasia are slowly spreading apart about 2 cm per year and you can actually walk in between and see both sides of the plate’s boundaries—this is a must-do adventure! In Iceland, you can see: gushing waterfalls; moss-covered lava fields, the Aurora Borealis on a clear, dark night; the geothermal Blue Lagoon Iceland; snow-streaked mountains; ice caves; geysers; whales and puffins and so much more. And, the best fun fact of all, Iceland launched non-stop service from Chicago to Iceland on March 16 (only a 6 hour flight!) via Icelandair so it’s super simple to go on the adventure of a lifetime! What are you waiting for? There are so many unique things about this just-south-of-the-Arctic-Circle country. Take Farm-hotel Efsti-DalurII, for example. This family-ran farm, located on the Golden Circle, has been operating since 1850! 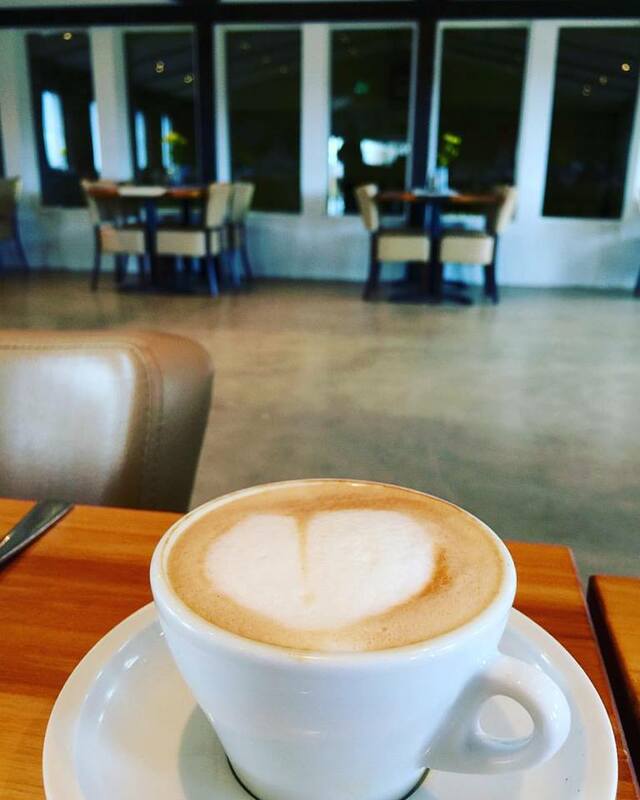 Here, you can spend the night, ride horses, eat house made ice cream, pet baby calves and sip a ‎cappuccino with ‎coffee art while watching the dairy cows in the barn! Also, the fish is pulled out of the water from a neighboring farm and everything comes from the ‎local ‎community. It’s a true farm-to-table family business and a stellar example of one of the dining options you’ll experience. Reykjavík Harbor, where you’ll find beautiful views and restaurants and shopping within walking distance. 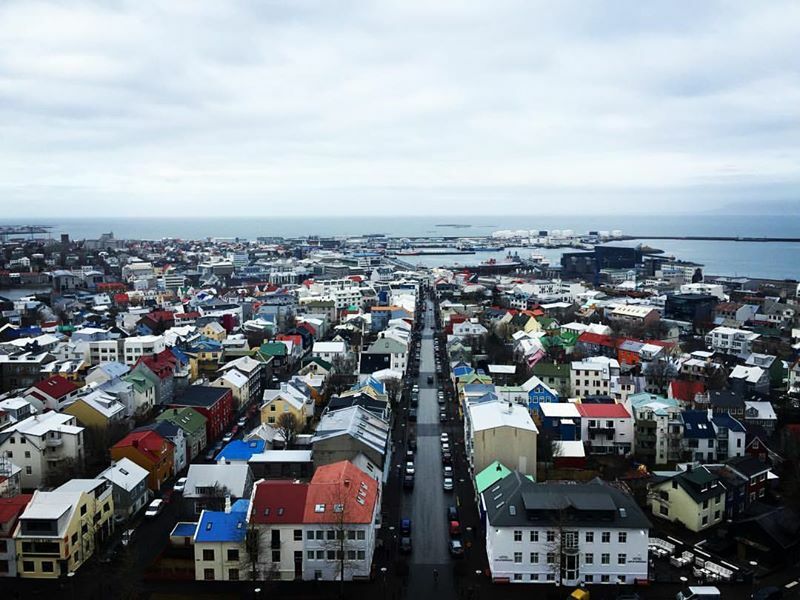 View from the top windows of Hallgrímskirkja—the brilliantly hued rooftops and buildings are a sight to see! 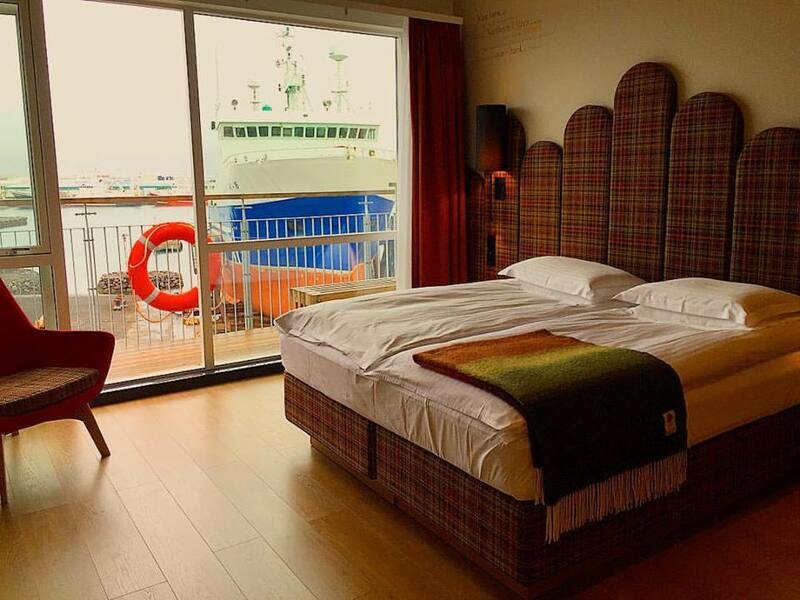 Icelandair Hotel Reykjavík Marina—trendy and affordable hotel within walking distance to everything. Such gorgeous nature—here’s me, standing on a glacier. 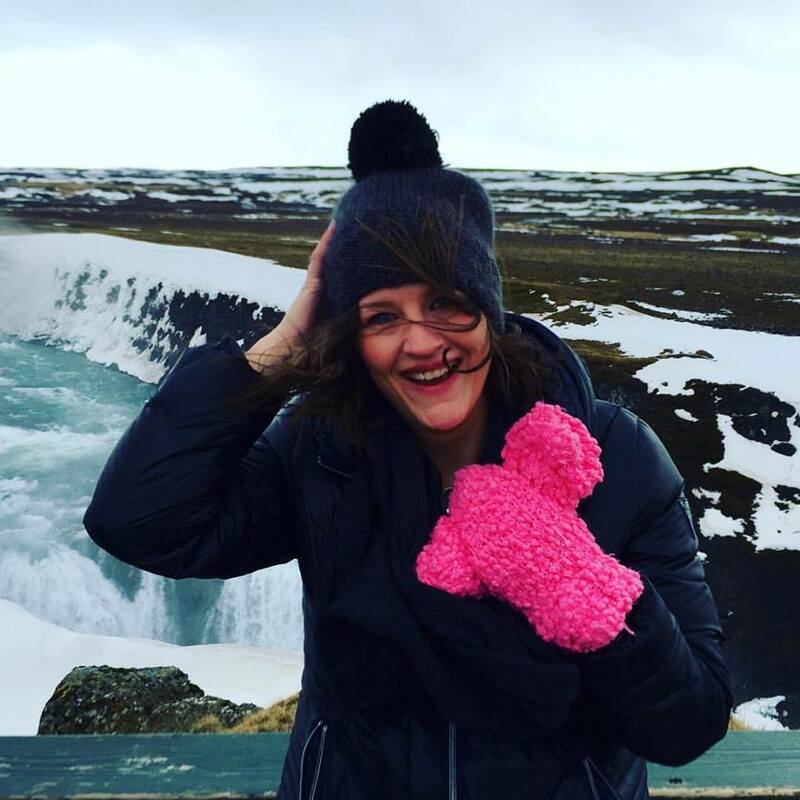 Stop at Gullfoss Waterfall, while touring the Golden Circle—it’s windy, but you won’t regret the views. Eurasian/north American Tectonic Plate Rift—incredible! 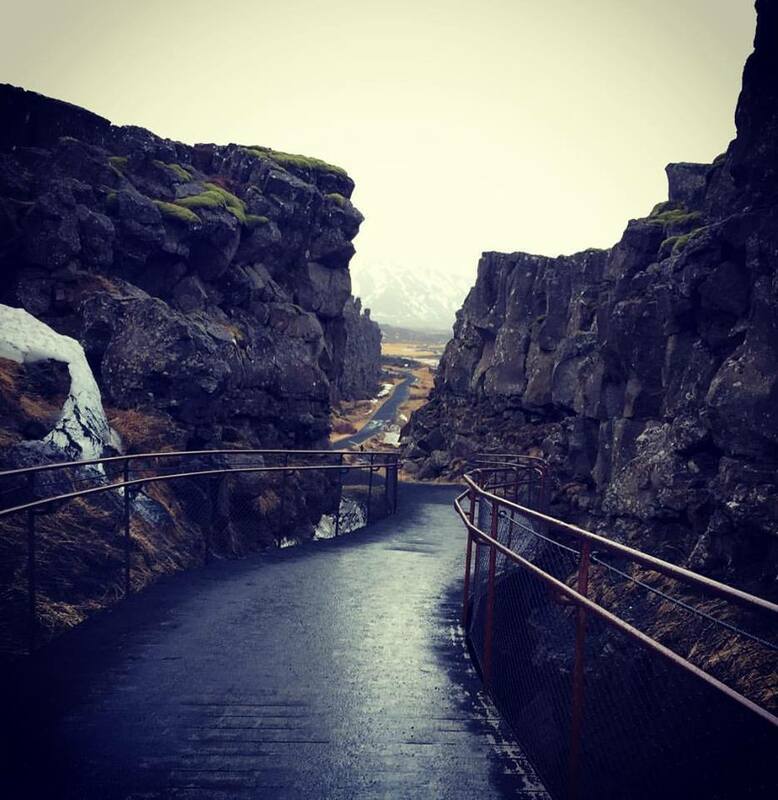 Hiking through the Eurasian/north American Tectonic Plate Rift. 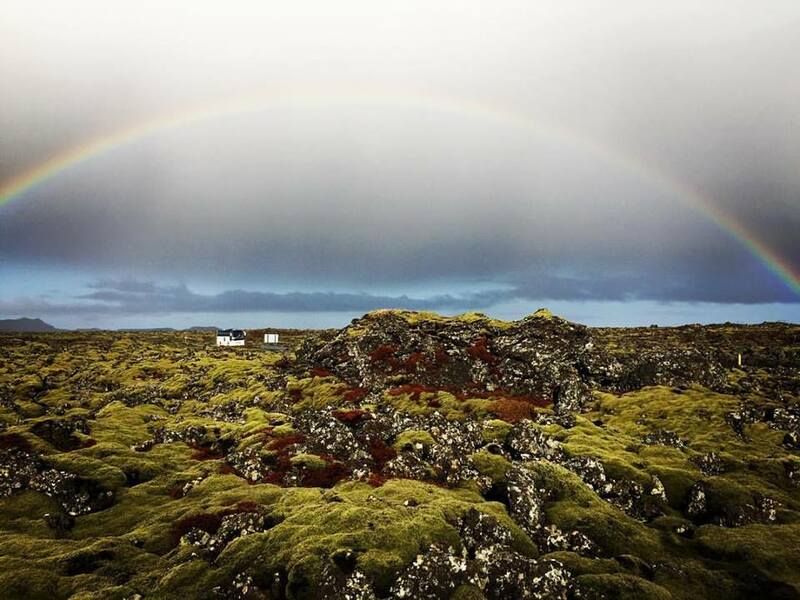 And, just outside of the Blue Lagoon, sits moss-covered lava fields under a rainbow.